Shaggy hair is almost a requirement for being a wizard. Just look at all the great wizards that went to Hogwarts. Take Harry Potter for instance. Aside from that scar on his face, he’s pretty well known for having that mop top! What about Ron Weasley? Oh, that’s right. He’s rocking a shaggy moptop too. Neville Longbottom? Yes indeed! He’s wearing a shaggy cut too. Albus Dumbledore? He’s wearing his shaggy hair in a long wizard cut. Even Newt Scamander was catching fantastic beasts back in the 1920s with some shaggy hair! 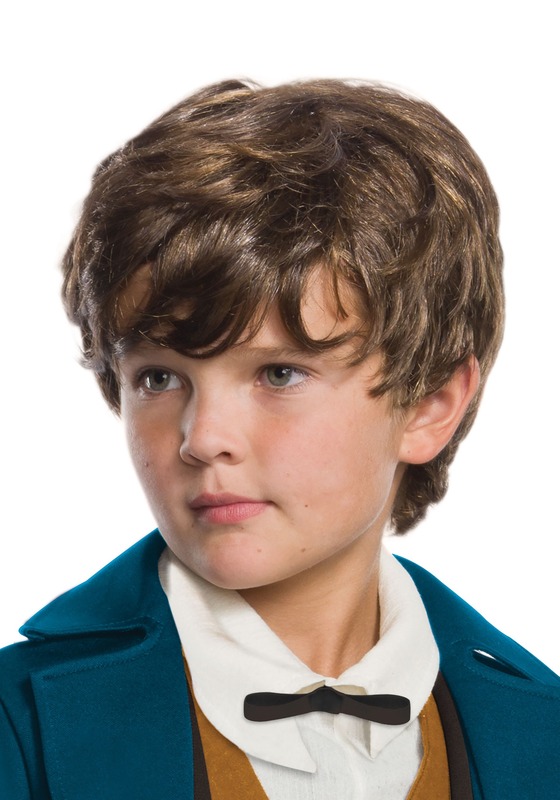 If your child wants to become a wizard, then he’s going to need to get himself a messy, shaggy haircut and this wig is the perfect way to do it! It’s licensed from the Fantastic Beasts and Where to Find Them film and will have your little one looking like a handsome little Eddie Redmayne in no time! Just make sure you also outfit your kid with a wand if you want him to be real Hogwarts material.